I think I've found the next best Nailed-It-Nail-Polish. I absolutely love this soft pastel blue color. It's from Avon, called Vintage Blue. It does look a bit vintage. I'm not sure if 50s is considered vintage yet, but it is to me. The Tupperware, the porcelain, the phones, the toasters, the dresses. But it also looks great with some little poppies. I love the little flowers! they are the perfect touch to a simple polish! Vintage Blue is lovely :) I love the cute poppies! 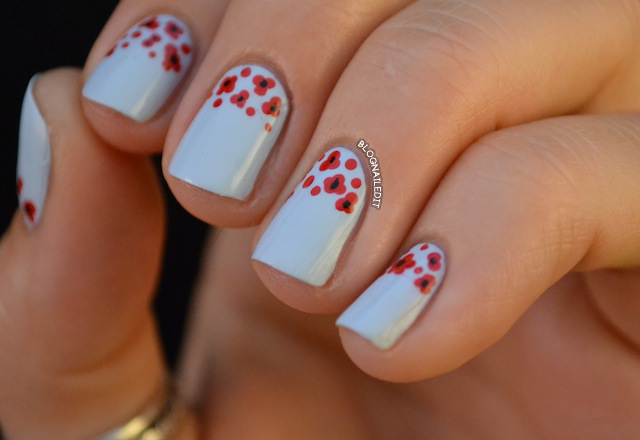 Those poppies are so sweet! Fabulous combination. So sweet. Vintage blue is nice. This is so adorable - I love it! That light blue it´s so cute! It remember a little Essie´s Borrowed and blue right? Love the poppies! Vintage Blue is my favorite light blue polish! I have to stop myself from wearing it too often. XD I love your little flowers, I definitely have to try those next time I wear Vintage Blue. 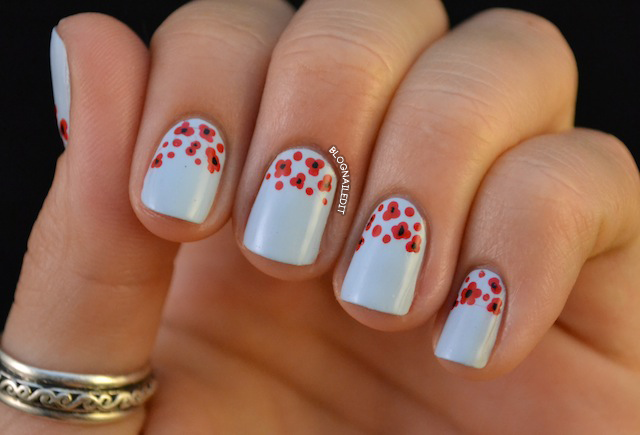 Cute poppies! I really hope you are doing okay! I was just reading about the wild fires and you crossed my mind. Hope your safe! absolutely love this! I tried it out on my nails this weekend and they looked super cute! I used a gray polish instead of a vintage blue though. Loe your blog!